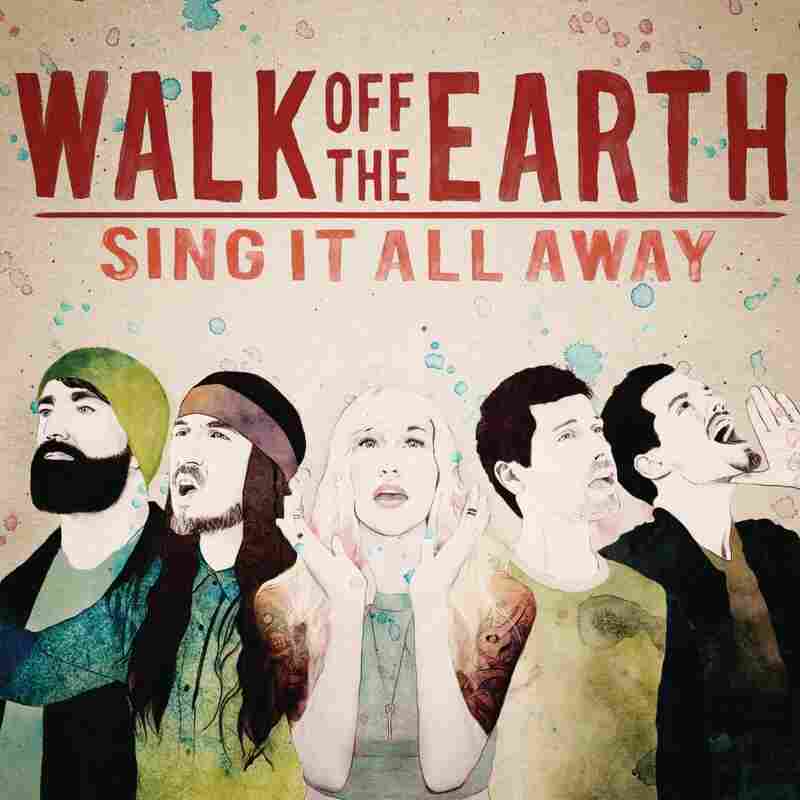 Review: Walk Off The Earth, 'Sing It All Away' The Canadian pop band's second album is an impeccable distillation of pop music in 2015: big and bright and cheerful, and expanded rather than confined by everything that came before it. The Canadian pop band Walk Off The Earth has followed a thoroughly modern path to success, starting with the way it broke through on the strength of adorable YouTube covers ("Somebody That I Used To Know" has 165 million views and counting) and continuing through its approach to its own compositions. On 2013's R.E.V.O. and now Sing It All Away, the group showcases a keen gift for consuming vast swaths of pop music, digesting them simultaneously, and synthesizing them into a grandiose sound that's so broadly appealing, it seems to contain everything that's ever made anyone turn up a radio. And, like OK Go before it, this is a band that understands viral video as both a tactic and an art form in its own right. Nearly every song on Sing It All Away fits neatly alongside the music that inspired it, with tiny strands of disparate genres and influences woven in. "Hold On (The Break)," for example, gets bigger and bigger as shadows of modern country, pop sloganeering and even hip-hop are folded into an ever-swelling chant. "Alright" works up a bit of banjo-fueled Mumfordian hugeness en route to its first chorus. The "ay-yo" window dressing in "I'll Be Waiting" evokes Lionel Richie (among others), while "Sing It All Away" nods to fun., complete with an anthemic offer to "carry you home." The verses to the grabby set-closer "We Got Love" recall the lilt of Blondie's "The Tide Is High." And so on. These are songs crafted for the pleasure of music fans, and for a culture at large, whose radio station of choice is the genre-smashing, field-leveling colossus YouTube — and, as such, Walk Off The Earth's music often feels like a mixtape mash-up, complete with multiple singers who trade off from song to song and sometimes verse to verse. None of which is to suggest that WOTE's music is merely derivative, or overly slight, or somehow lessened by Sing It All Away's ambitious accumulation of reference points. It's just an impeccable distillation of pop music in 2015: big and bright and cheerful, and expanded rather than confined by everything that came before it.